3 I do not know about the rest of you, but watching lot from his massive list of things to check/do when the Peach team's progress has re-awakened a not animating. very dormant desire to animate. Can you really blame me? Breathing life into a character is the ultimate in creative fun. Plus with "Big Buck Bunny" What are you waiting for? Get reading already. due to premier soon, now is a great time to study up on animation techniques. Note: Several of this issue's articles make use of Shape Keys. If you have not yet explored Blender's Since animating is a broad discipline that covers far Shape Keys or would just like to refresh your memmore than just getting your character from point ory, here is a short list of tutorials and docs that "A" to point "B", it is often helpful to re-examine the cover Shape Keys: basics as well as study more advanced techniques. That being the case, we will not only be looking at the mechanics of motion (primarily arcs), but we will also explore Blender's various tools for tracking and visualizing those motions. Additionally, we will be taking a look at facial animation and expressions, in addition to learning about phonemes and how they relate to lip syncing. Then, once your character is ready for his animation debut, you need to enroll him in acting lessons, with "Acting for Animation" by Clayton Mosseven, because even virtual actors need to act well. ou did the bouncing ball and mastered a box sliding across the floor as well as various other inanimate objects. Now you have moved up to character animation. Your walk cycles are progressing and you are starting to get the hang of timing, so now what? Well unless you plan to stick with the "Tom and Jerry" style animation where the characters never speak, next up is lip-syncing. Lip-syncing of course requires recorded dialog of some sort. There are several options for getting recorded dialog. You can talk your friends and/or family into an impromptu recording session or you can use the services of "voice" actors. You can often find student actors willing to do “voice” work just for the practice or for very small fees. And of course you can hire professionals, it all depends on what your actual needs are. A serious animation really should have voice actors, but a lot of times, if you are just practicing or creating a short little animation for fun, all you really need are some fast, easy and unique voices. If that is the case, you might want to look into "Voice Changer" software. Often these programs are used for funny pranks and answering machine messages as well as for chatting online, but they can be rather useful to create unique voices for your characters. Depending on the program you choose, you can use a variety of preset “nick” voices as well as create unique voices of your own by adding various effects and adjusting the pitch, timbre and speed of the recording. Here is a short list of fun, easy to use programs I found. Blaze Audio Voice Cloak Plus: 29.95, trial - Link Unlimited Presets - You customize, name, then activate with a click! 50 Fresh Sounds - Original Acousticons* that will rock your chat world! Sayz Me - Link While not a voice changer as such, the semi mechanical quality of the voices, make for some great robotic/mechanical voices. If the Microsoft Voices don't appeal to you, they have a list of others that you can use with their engine. Once you have your recorded dialog you need an easy way It is similar to the commercial program Magpie. to help visualize the shapes needed for lip-syncing. There are some nice programs available to create time-sheets to sync animation to a pre-recorded audio track. Well now that you have all the tools needed to start your lip-syncing adventures, you might as well get started. Papagayo - Link Papagayo is a lip-syncing program designed to help you line up phonemes (mouth shapes) with the actual recorded sound of actors speaking. Papagayo makes it easy to lip-sync animated characters by making the process very simple - just type in the words being spoken (or copy/paste them from the animation's script), then drag the words on top of the sound's waveform until they line up with the proper sounds. Papagayo is free to download and use. Sync 'till your virtual lips are sore! Papagayo is available for Windows, Mac OS X and Linux. The premiere date now is In preparation for the upcomfinal and confirmed! ing 2.46 reThursday April lease (dubbed 10th, 2008 the Peach Release), Blender Cinema Studio K, RC1 "Rinky" Amsterdam the Netherhas been relands leased for testing. You can Premiere event grab a copy and test out all the new and exciting features starts at 19.00, and includes dinner and party. and help our programmers track down bugs and glitches. The premiere event has been made possible in collaboraNew features currently in SVN tion with Creative Commons Netherlands (thanks guys! ), which enables us to make this an unforgettable evening New Image File Browser for Blender and for the open source and open content Skinning Improvements movement again. We will have a real 35mm film copy with Rendering Features (FSA, Zmask, Cubic shading) digital sound this time! Thanks to sponsorship from our friendly neighbors at Filmmore we will even get three copMesh Deform Modifier ies, sufficient for an efficient distribution to festivals worldPole Target for IK wide. Glossy Reflection/Refraction The premiere evening will be accessible for everyone. Raytraced Soft Shadows However, if you want to be assured you can get a seat for QMC Sampling the first screening you have to purchase a VIP ticket in our Approximate Ambient Occlusion e-shop. The ticket costs only 30 Euro and includes a glass of champagne after the film, snacks and a meal, some free Weight paint visualization and Multi Modifier drinks, and first access to the party with a cool DJ. Not to Render Baking and Normal Mapping mention early access to all the celebs! Particles and Strands There is a maximum of 75 (of 150 total) tickets for sale, Constraint Improvements and first come is first served. Armature Drawing Improvements Sequencer changes Big Buck Bunny Poster and Trailer UV Editing Pose Libraries For those of you unable to wait for the premier, the Peach team has released a Trailer and a cool Poster and press kit to add to your collection. The setting or background is Papua, it was also known as irianjaya, in our Johan Tri Handoyo writes in from Indonesia about an excit- eastest province in Indonesia's archiing open movie project being developed there. pelago. We wanted to create a story based on this area because of it's unique and rich culture values and very Hi blenderheads, unique identity. The Papuaman (rig can be freely downloaded) probably looks I just want to share some alike an African man to you, but if you information about our recent go through our progress on the link OPEN MOVIE project with provided, you BlenderArt readers around can easily figthe globe. My name is Johan ure out the Tri Handoyo, I am from differences Batam Island, Indonesia. between those Some companions from my studio and I had planned this two. for a long time. About 1 year ago, we wanted to create The model, rig some short movie or something similar with blender and material are inside the At the same time, there was event for National Open Source Roadshow around March 2007 in Indonesia, and we papuaman.5.1. blend is in thought that its just about the right timing, as our work public domain, will be watched nationally and we can introduce so you can use Blender3D more effectively to the audience in Indonesia. it for any purInitially we had a minor setback due to lack of required pose you want, skills in blender also the evident lack of human resources, just make sure so we had to postpone it, until now. to give us credit for it. Work on the movie has begun and you can see the progress here (Sorry, the language is Indonesian only). The title of the movie is SUPER BIRI-BIRI, Sincerely yours, biri-biri means lamb in English. So this is Johan Tri Handoyo & friends. the story about a SUPER LAMB. OK Sparky, So You Wanna Share Your FancyDan Checklist? For every motion, pose, timing and action on every character in your shot, you need to ask every one of the following questions. By going through the list one item at a time and cross checking every motion for the item, you’ll find so many areas of weakness that need attention. The struggle for many beginning animators is that they don’t even know which questions to ask, much less how to answer them. Hopefully this list will help you to begin asking the right kinds of questions. It's helped me a ton. It’s not exhaustive, but it goes a long way to spotting trouble before you save your file for the last time and think you're done. If only finding and implementing the answers was as easy as asking the questions. Check to make sure your motions have good clean arcs. Turn on trajectories if your software supports them. If not, get out your dry erase marker and draw the arcs on your monitor. Wrists - you need to keep an eye on these to fight that marionette feel Elbows - if you're using IK arms, then you absolutely MUST check your elbow arcs Feet - track the heel & the toes to see if you're getting clean arcs on both Head - the most obvious motion hitches will show up in the head. It's usually a torso problem, it just shows up in the head arc Knees - watch for pops and skips Hips - the center of mass is vital to believable weight, so check the hip arcs. Line of Action: Make sure you’re being strong with your lines. The difference between an OK pose and a great pose most often lies in the line. Have you pushed your line so it reads clearly? Is your line interesting? Is your line strongly concave or convex? When going from one pose to another can you invert your lines for stronger contrast? If all you had was one still frame to show for this pose, is your line of action capturing the kinetic energy of your character like a good illustration would? Find a part to emphasize by scheduling it's late or early arrival. Offsets help keep things loose and let your character breathe, combating the common "pose-move-pose-move" feel of most Pose-to-Pose animation. Check for twins. Shifting one arm by a frame or two is not fundamentally addressing the issue of twinning. You need more than that. Does it fit for you to offset the hand from the elbow? The elbow from the shoulder? For this move should your arms lead the torso or do they follow it's weight? For this move should your hand lead the arm or follow it's weight? Does your upper torso move independently from your hips? For this move, should the head lead or follow? Have you seen if offsetting your rotation keys from the translation keys adds any life to the character? How about individual rotation channels from each other? Do your fingers each move independently from the other fingers? Should your fingers flow after the hand or stay tight to it? Is this the right place to use the offset (aka "pixar") blink? Overlap & Follow-through: What a LOT of pose-to-pose animation suffers from is the dreaded "hit & stick". You need to find a way to get that out of your animation while still keeping strong clear poses and clean timing. Are you overlapping too much? Is it too soft? (mushy) Are you not overlapping enough? Is it too hard? (sticky) Are your motions distracting? (poppy) Does it feel like your ease outs are too linear? (robotic) Will this move benefit from the successive breaking of joints? Do your body parts overlap with believable physics? Are the hands too slow (heavy) or too fast (light)? Don’t blindly trust overlap or lag plug ins… check each frame for accuracy. Energy: One of your primary tasks as a character animator is to manage your tension, your energy build up and release. Each character will build & release their energy in a very different way. And even given different circumstances your character will build & release energy differently. Does the size of the anticipation match the speed of the subsequent action? Does your character flow well from one thing to another? Should they? Does your character's body language and gestures' energy match tone & energy of the dialogue? Look for ways to build texture into a shot - building across phrases and releasing. Not every pose or move is the same length. Move your character around on their feet to keep them believable. Nothing says "I'm not believable" like frozen feet. â&#x20AC;&#x2DC;Life After Pose to Pose: Taking Your Animation to the Next Levelâ&#x20AC;&#x2122; Does the energy of your character keep building up during a hold when appropriate? tip: if the pose hit didn't have an extreme with a recoil, but is rather meant to build energy for release (like an anticipation hold) then you'll keep growing the energy up into the pose, like a long ease into the extreme. Does the energy of your character keep settling with gravity during a hold when appropriate? tip: If the pose hit had a settle-back after an extreme, you'll generally want to keep the held energy settling into gravity. You need to keep things moving at a natural flow. If your shot feels dull, look at your pose holds and your transition timings. I'll bet you $20 that all your holds are about the same length and all your pose transitions are about the same length. Are your motions too even across the shot? Are all the motions too fast? Are they too slow? Do you have an appropriate mix of fast moves versus slower ones? Be aware of the appropriate speed for a given set of appropriate actions. Mix up the pacing of motion. Fast flurries followed by long simmering holds. Great contrast. Don't make every move the same speed & flavor. Favor the anticipation or the breakdown or the ease out. Meaning: think what works best for a given action - slow in/fast out? Or fast in/slow out? Or even in/out but fast breakdown in the middle? What would character A move like compared to character B? Make your poses read in an instant, not in an hour. Do your poses read clearly in plain black & white? Funky lines in the silhouette? Check elbows to see if they're sticking out unnaturally. Check the spine & your line of action. Think of ways of compressing the pose/action into planes in space for cleaner reads. Perpendicular to the camera plane, or parallel to it. think Woody's "cool sheriff" walk from the cardboard box in Toy Story 2. Look at how his motion is compressed into a single easy to read plane that is parallel to the camera plane. Motion Pathologies: Does anything have a funky motion that just looks off? Check for IK pops Look for and fix hitches in the arcs Smooth out any hiccups in line of motion Destroy any and all distracting moves Do you overshoot on moves too much? Not enough? Is there enough "keep alive" on your moving holds? Is there too much so that you're adding noise to the signal? Clean out any and all distracting nasty geometry intersections. The small single frame ones in the middle of big moves, forget about those. Nobody will notice. …is everything. Well, almost everything. Will we believe your character is sincere? Are they REAL??? Can we see your action from the best possible angle? And remember, the ONLY view that matters is the camera view. For visually pleasing images compose on thirds Avoid staging your character directly down the middle unless you have a reason to. Use those lines of action to add visual angles to lead your viewer's eye where it needs to go. In production you must keep the integrity of the layout composition and then plus it with solid lines of action & silhouettes. If your character is doing something important, make sure we can stinkin' see what's going on! Track your eye as you watch. Where does it go? Is it where it should go? Do your eyes feel like they awkwardly jump from cut to cut? Is this the desired effect (sometimes it is)? Stay true to character. Buzz Lightyear will not flail like a spaz like Woody would. Does acting match dialog intensity? Are you being too vaudeville? Do the hands & body merely illustrate words that your character is saying? How many times do you make a punching motion with your hands when you say the word "hit"? Not many. How many times do you make a kicking motion when you say the word "kick"? Not many. How many times do you spread your arms like an airplane when you say the word "fly"? Not often. Guess what? Neither should your character! Do the eye emotions match dialog? Reveal your character's inner thoughts or emotions beginning with the eyes first. Cascade out from there. Emotion drives motion. Motion does not illustrate emotion. (no vaudeville. See above note) Also, thought does not drive action - emotion drives action. Thoughts merely drive decisions, but decisions are not acted upon without the emotion to drive them. Avoid overacting. Keep it simple. Don’t try to do too much in one shot. Less is more If your character's face needs to show an emotional shift, it's easier to read that shift while they are in a pose hold, not in a move. Emotional shifts should occur when the character is generally held still.. Who owns the shot? Don’t upstage the owner of the shot. Keep the secondary and background characters from being distracting with their motions. Sometimes breathing and blinking is enough. ‘Life After Pose to Pose: Taking Your Animation to the Next Level’ When the time comes to transfer shot ownership from character to character, make sure it's a clean hand off. Only one owner at a time. The audience should instinctively know who to watch based on what you show them. Maintain proper intensity levels appropriate for where character is on character arc. If your character has a major anger blow out in the third act, don't show that level of anger anywhere before that point. That's A Lot to Check. Anything Else? Conclusion: I hope this is useful to some of you out there. It may seem tedious and rather dull to have to comb over your shots like this, but that's the effort that's needed to take simply OK animation and push it to the next level. If this were easy or simple or fast, then everybody would be doing it. But those who put in the effort to really push their shots the furthest they can go, they'll be the ones everybody looks at and wonders "Gee, what a lucky dog that he got into XYZ studios." Luck doesn't have much to do with success. Going beyond the simple application of a singular method and pushing yourself and your work to the highest level you can, that has a lot to do with success. One simple discipline that I have found always helps me is this: About the time you think you're done with your shot, make a preview of your animation. Then, while it plays repeat- © copyright 2003 Keith Lango, Reprinted in BlenderArt Magaedly, step away from the keyboard and grab a pencil & some zine with permission of Keith Lango March 2008. note paper. Let the preview play over and over, until you start to see every frame. Start taking notes of what needs to be fixed. Find EVERY single glitch, hitch and problem you can find and write it down to be fixed. Don't stop writing these things down until you've noted every issue you've spotted. Spend at least 5 minutes watching this shot loop over and over. Then, when you can't possibly find anything else to pick, go back to your file and fix everything on your check list. So many times we think we're done before we're really done with a shot. This simple exercise will force you to stop and see the animation for what it is. By noting every problem, you're ensuring that you won't forget something. Then, when you've fixed every problem on your list, repeat the process again. Trust me, you WILL find more problems, stuff you didn't see before. It usually takes me about 3 or 4 times of doing this last pass, last gasp effort to really put the piece over the top. Introduction Lip syncing is the art of matching up your characters' mouth movements to a prerecorded dialog. Sounds pretty straightforward and easy, doesn't it? Well it is... kind of. Well okay, maybe it's not that easy, but it isn't as hard as you might think. The first thing to remember is that written speech and spoken speech are NOT the same thing. If you try to lip sync your dialog literally as it is written, I can guarantee that your character will look deranged with its mouth flapping all over the place trying to hit each letter. This concept is something that can't be stressed enough. When speaking (and ultimately animating) your mouth only moves for ''key" sounds. These sounds are referred to as phonemes. Phoneme sets can range anywhere from 3 to 4 shapes to well over a dozen, with the most common being 8 to 10 shapes. The set you choose will of course depend on your character design and style of animation. A simple character with only a few facial features could probably get away with 3 to 4 shapes, while a more realistically modeled character would benefit from the 8 to 10 shape sets. We are going to cover an eight shape set. It contains enough shapes for most animation / lip syncing purposes. These basic eight positions will take you a long way, but keep in mind that just using these eight shapes as listed is not enough. You need to slightly vary those shapes in addition to adding facial expressions and appropriate body language in order to create a convincing character animation. Applying these shapes to actual dialog is a whole other article, one that I haven't even started writing yet. In the meantime, here are a few articles and tutorials you can check out to get you started. Introduction Simple facial expressions can and will breathe life and personality into your character. You did give your character a face, right? What do you mean no? Well I can tell you, this won't be very effective if your character doesn't have a face. All kidding aside, not only do facial expressions add believability to your character, they are very easy to set up in blender using shape keys. Now there are two ways you can go about setting up a facial expression library. Full Face Expressions: You can setup/create a shape keys for each expression you want to use. Blending between two or more shape keys will add variations to the Shape Keys you created. 2 Upper Face/ Lower Face Expressions: You can setup/create shape keys for individual facial elements (i.e. Eyes and eyebrows, mouth and lower jaw, etc.) This method allows for greater flexibly in creating expressions, as you can then combine any of the upper face Shape Keys with any of the lower face Shape Keys. The method you use will, of course, depend entirely upon your character design and what you plan to do with your character. One thing to consider is whether or not you plan to do any lip syncing with your character. If the answer is yes, you will want the second method so that you can use the mouth shape keys for both lip syncing and facial expressions. Then all you would need to do is activate and use whatever extra elements (i.e. Eyes, eyebrows, nose twitches etc) that are needed to complete the expression. Okay, now lets talk about the different facial expressions you might need for your character. Although there are six extreme expressions (anger, disgust, fear, joy, sadness and surprise), there are an unlimited number of variations. Let's take a look at the basic six first: Anger: The eyes are wide open with the eyebrows pulled down over the eyes. Although the mouth could be closed, it is usually open with tense, tight lips and teeth bared. The jaw position is dropped down. Disgust: The whole face is a picture of tightness with squinty eyes, the mouth is closed and pulled up toward the nose. Fear: The mouth is wide open with the lower corners pulled back. The lower jaw is dropped with the lower teeth showing. The eyes are wide and open. Joy: Open relaxed eyes and eyebrows. The mouth forms a smile with the corners pulled upwards, pushing the cheek muscles up. Sadness: The lower corners of the mouth are pulled down, possibly showing the lower teeth. The eyes are generally squinty and maybe completely closed if your character is crying. Surprise: Wide open eyes with raised eyebrows, but no t so much that the forehead furrows or wrinkles up. The mouth and jaw are slack and relaxed. These six expressions can go a long way towards furthering your character's believability, but you will want to experiment and practice creating as many expressions as possible. The more expressions your character can show, the more personality your character will have and that will allow your audience to connect with your character on a deeper level. So how do you apply a performance to your character? I will point out that in order to understand Acting for Animation, you don't need to have an understanding of the Blender UI at all. It's irrelevant for this area of work. It is, however, JUST AS IMPORTANT to have this side of an animation figured out during the preproduction process as much as having a well made and rigged model with scene. In some ways it's just as important as the audio production of a film. Both complement one another. Getting the acting right for your animation from the get-go usually allows for an animator to organically create their feature/short film purely from a performance aspect, rather than from the setting up of shots and lighting angle. A digital character's performance and script will usually determine what is required to come after, shot and lighting wise, even if you do have a storyboard to guide you beforehand. Film-making is the antithesis of this, of course, because all shots and lighting requirements are figured out well in advance during preproduction. A performance can be discovered and refined constantly, so be flexible. So to break it down, we need to look firstly at the characters. Choose one character and write a background on them. Their history, favorite food, do they have any mannerisms, do they own a cat, their daily mood, etc... Go totally wild & creative in this area. The more background you can flesh out for each character, the more depth you give them. Though their specifics will probably never be entirely explained and illustrated in the animation that you are working on, nuances to their final performance may glean to the audience that the character has a multi-faceted persona, just like any person in real life. That process creates INTERESTING characters with a REAL PERSONALITY. Interesting characters make an animation re-watchable, again and again. They come from a place of knowing. Watch ShereKhan from The Jungle Book or Captain Hook from Peter Pan and you'll see what I mean. Get inside the character and ask questions, "What do I want, Why do I want it?" Be the character, don't act it. Emotions are very complicated to convey, but there are a number of ways a character or person can emote. People can also 'act' in one way but feel another way. Contradictions like these are truthful and create interesting performances. There are two ways to best capture and transfer performances with your character. You can employ either a video camera or a full body mirror, both if possible. Those who are more adept with animation can animate purely through their own imagination, sometimes just by manipulating bone IPO curves. However, for now we'll concentrate on the first two methods. This is the fun part, where you get to act! Taking on-board all the the characters personality aspects when you fleshed out their background, you then act out and perform the scene to yourself in front of the mirror or video camera AS THE CHARACTER. Like I said, be the character, don't be shy. Close the door to your room if you don't want people watching you. Take note of everything you do performance-wise when you do the scene. Experiment with different ways your character may act and react in a scene. Once their personality has been solidified, its time to place Do it with a friend if you have more than one character them in a scenario. Never work on the whole film at once -If you are lucky to have both a mirror and video camyour script (and, if you're adventurous and well prepared, your present. era, you can place the camera on an angle so that you can storyboard) should guide you in all that. Break the film down record your front and back in the whole frame. This helps if into separate scenes and work on the whole performance in you are doing a scene with a switching two-shot and you don't one scene at a time. So when you're analyzing a single scene you must understand where the character is coming from and want to animate anything and everything. where they are going. Cut back and cheat if you have to, cheat like hell. All the top companies do it as well. At the end of the day, if it looks The progress of the scene depends wholly on the actions that CG and believable, who's going to really know if you also take place during it and the character's reactions to the drama good animated facial expressions of a particular character if all & events created. The character must enter a scene in a partic- you see ofthe them in some shots is the back of their head??? ;) ular mood, they must emote something, and they must show proper reaction whether it's the first scene or the last. EmoAs you transfer your performance to the character, make note tional continuity between scenes must remain at all times, of each part of the body and how it moves. You may need to otherwise the audience gets confused. do it a couple of times to know the flow of movement. When performances in scenes have been finished, you can then work out the shots and lighting requirements. If your character doesn't move like it should because you have a poor rig, it'll create a lot of headaches, so make sure that is all correct and tested out rig-wise before you begin. Emotions aren't just limited to facial expressions. The whole body moves with it too. Keith Lango describes the best way of encapsulating this excellently by the usage of 'Power Centers' (http://www.keithlango.com/tutorials/old/powerCenter/powerC enter.htm) A power center is where a character emphasizes their whole body at a particular focal point. Basically, a character's power center will convey where they are at with their personality and emotion. A character with a power center in their chest may appear confident and strong, one with a power center in their hips may come off as being sexual, while another with their power center in front of them and down will appear sad and depressed. Power centers can emphasize masculine or feminine aspects of a character, their overall inner nature, or even a permanent injury they sustained recently or years ago. Find your character's power center and the performance should flow outward from there. Body language tells the story. Motivation is a biggie. Everything we do in life is a reaction to an inner feeling and thought process. All thoughts are clearly illustrated in the face, especially in the eyes and forehead for animation. Picture that area as being a TV screen for allowing an audience member to see exactly what the character is thinking and feeling at any given moment. Eyes can convey a wide variety of thought processes, looking off to the side and up can be seen as thinking in action. A performance, live or animation, is a series of moments given by changing thoughts and feelings. Nothing ever stays constant in this respect, it changes due to the continual inner responses toward the outer stimuli. 20 Animation must always be moving. Even during moments of thinking for a character, we must see the character think by ever so slight changes in the forehead, eyes and eyebrows. Everything must come internally from the character. Much like the power centers, inner thoughts and feelings should flow outward, to the lower half of the face, then the head, the body and its gestures afterwards, including the character's overall posture. Inner thoughts and feelings affect and change the location of power centers to a new position. For example, a happy character enters a scene - His power center is in his chest as he struts in confidently. His face is happy, and his eyes are bright. Then another character in the scene tells him he has lost his job. The character responds by an inner thought process illustrated in his face. From his forehead and eyes, we see that he becomes sad. This in turn spills downward whereby his head droops, moving further down, causing his power center to move from his chest to the ground in-front of him where he then hunches over toward it. Soon he responds in any number of ways - by crying, putting his hands to his eyes, jerking to each sob he makes. And mind you, all that in a second or two. It isn't a long time, but it is a lot of action to convey in one character. Daunting, isn't it! Animation acting must be believable. The audience must believe in the sincerity of the performance or you will lose them. 'Truthful' is a term actors like to use, but animation allows it to be stretched out in degrees. Exaggeration is used at varying levels. When animating a characters performance it must never be exactly how you did it in the mirror, there has to be an element of exaggeration applied to emphasize it. A simple walk cycle, for example, calls on an animator to make the up-down motion of the body for every contact and passing pose slightly more prominent than it would appear in real life. 21 down train carriages, the first carriage moves to pull and each subsequent carriage is pulled in turn. It's a minor thing, but subtleties like the ones above can improve your animation a hundred fold. Weight and size is another aspect of animation that needs to be conveyed clearly. A skinny character would be light and nimble on their feet while a fat character would plod along with heavy steps. A character's weight may also affect their persona. Usually fat characters are portrayed as dumb and slow, short characters usually have a big personality, skinny characters are weak and timid. Then you have external objects. A large, heavy object would require an incredible amount of strength to lift it. Telegraph the moment before lifting to show the character straining with the weight and size of the object before they lift it off the ground. All objects have a degree of weight to them, so don't treat everything as being weightless. All objects have mass and are affected by gravity. When framing a shot with the camera, it's a good idea to know where to focus your character's performance. In a wide shot Subtlety plays a big part in animation. It is especially effective where you can see the whole of your character, your character during the conveyance of inner thoughts and feelings. A slight should move in its entirety. Expressions of the body should be shift in eyebrows during a reaction, or small shifts in the eye a little bigger than normal, especially around the face. In a mid pupils to move very slightly side to side in an examination of shot, where the body is seen from the waist up, the performthe person or object they are interacting with. Everything ance should be scaled back to as normal as possible. moves all the time in animation, nothing is still, EVER! It must Expressions of the face and body should be pretty regular but be alive 100% of the time. exaggerated to normal degree. The legs don't need to be aniA character must have moving holds when they are standing mated because they are cut off from view. Like I said, cheat if still. A moving hold is an ever so slight shift in the overall body you can. A close-up is usually shoulders and head only, so the positioning. The chest may also move up and down to breath- body doesn't need to be animated. You might slightly shift the ing. Even secondary movement comes into play here. For exupper arm and shoulders, but any hand movement should be ample, as a character moves to pick up a ball, he extends his kept inside the camera frame. arm, whereby he stretches out and opens his hand, then he focus in a close-up is mainly on the face, and that is stretches out his fingers all the way out and then to the finger- The where you can play around with a variety of expressions and tips which are the last to move. Just like a pulse that travels subtleties to a greater degree. Please note that from here on in, lip-sync errors are very easily spotted if there are any, so clean it up if you can. The extreme close up, or ECU, is where you only see the face. This shot is to show inner thoughts, feelings and reactions to external stimuli. Make them clear and succinct. So in conclusion, all acting in your animation performances should be believable, unambiguous and interesting. You should be able to watch it with the sound down and still know what the character is doing. All good acting should have that quality. Mime is the closest thing to animation acting, so see if you can watch a few videos on YouTube or DVD to get the gist of it. Research as many Warner Bros and Disney films as you can, especially the early ones, to know the dynamics of the acting for each of the characters. But remember to watch them for the acting only. As I've only really touched upon acting at its most basic level, as complex as it may be, anyone who is serious about animation should take up acting and improvisation classes. I cannot stress it enough. Your animation skills will improve greatly. Sydney Clayton Moss is a professional actor from Sydney, Australia who has worked in a variety of Theatre Film & TV since 1999. He also works as a filmmaker/animator. o you have started animating. You have figured out how to create poses and can set the start and end points of an action. Then you sit back and let the computer figure out the rest. Ta-da! Instant animation, or is it? OK, technically it is, but not a very good one. So how do you go from an "OK" animation to a great one? By going back to the basics of course. Animation is all about movement, so it stands to reason that an animator needs not only to understand the mechanics of movement, but how to apply those mechanics effectively. One of the most basic movements in animation is the arc. By simple observation of moving objects and people around you, you will discover that, with the exception of mechanical objects, everything moves in arcs and circular patterns. From the simple bouncing of a ball to the more complex movements of a character, arcs allow for more fluid movements, creating a smoother and more natural feel to your animation. Both physics and gravity play a role in creating the arc. When an object is thrown, gravity pulls the object into a parabolic or arc-like trajectory, while physics regulates the arced movements of the human body caused by rotating joints and the pull of muscles. So while good 3D software can create a fairly consistent movement from point “A” to point “B”, it generally also creates a boring one, that, depending on the speed of movement from point “A” to “B”, could very well flatten or distort your arc, creating an unnatural looking action. A more natural looking action can be achieved by moving from “A” to “C” to “B”, with “C” being between the start and end points (but not in a direct line), creating an arc. 23 When animating a character, most of us realize that arms and legs follow obvious arcs due to the rotating nature of the joints involved, but a common mistake is to not incorporate arcs in the rest of the body's movements. Everything on the body follows arcs, including the head and eyes. For example, when animating a simple head turn, setting keys at the start and end position of the turn will result in a flat, unnatural linear movement. But if in the middle of the turn you set a key for the head tilted either slightly up (or down), you will end up with a far more natural, fluid-looking movement. Even when you remember to use arcs as you go about setting your poses, it is all too easy to lose track of the arc (often resulting in jerky, sloppy movements). Fortunately, Blender provides some very easy methods for tracking your arcs as well as visualizing how your animation is progressing. One of the first places to look when you suspect that your arcs have wandered, is the IPO window. Your IPO's should look smooth and flow nicely from key to key and pose to pose. If you see little spikes or bumps (or on occasion big spikes or bumps that you did not set yourself) in your IPO curves, that is an area that needs attention. IPO Keys can be easier for some to manipulate and adjust than the standard animation curve. In the IPO window, go the Ipo Editor from curves to keys, two very useful things happen: The Ipo Curve Editor now draws vertical lines through all the points of all the visible curves (curves are now show in black). Points with the same 'frame' value are linked through the vertical lines. The vertical lines (the "Ipo Keys") can be selected, moved or duplicated, just like the points. You can only translate the keys horizontally. ‘Back To Basics’ The object is not only shown in the 3D View in its current position but 'ghost' objects are also shown at all the key positions. On some video displays, you may have to press K in the 3D View window. In addition to now being able to visualize the key positions of the object, you can also modify them in the 3D View. For example, you can move the selected Ipo Keys. 24 There is a wealth of information on the web concerning the importance of arcs in animation. One of my favorites was written by Keith Lango, “Arc D' Triumph!”. While you are there, check some of his other tutorials. You will be glad you did. Arcs: due to physics and gravity, all things in nature move along arcs and or circular patterns. Anticipation: used at the start of an action, often used to cue the viewer to the fact that something is about to happen. Most often seen as movement in the opposite direction as the upcoming action. Overshoot: used at the end of an action, nothing in nature comes to a sudden and dead stop, the action should move past the stopping point of the action and then settle back into the pose. Secondary action: these are composed of the little wiggles, twitches and quirks that add life and personality. Follow-through: when parts of the body or object keep moving after the main part of the body comes to a stop. Overlap: not all actions should start and stop at the same time, parts of the actions should overlap each other. Moving holds: when it is necessary to hold a pose for any reason, you should still have some minor/slight movement occurring, such as a shifting of weight, breathing or blinking, otherwise it will look like the the whole animation just froze up. odeling and rigging characters is a time consuming task, one that takes a lot of practice and study to get just right, and while most of us will get there eventually, it is nice to be able to just grab a ready made character for study. Whether to study the design and rigging itself or for further study of animation techniques and tests of said information. And there is always the "just for fun" factor to be considered too. Following is a list of fun characters and rigs built and contributed by various members of the blender community for your study and enjoyment. Fully poseable 3d character. In order to position feet properly, grab the constraint in FRONT of the foot with your mouse (and G), and ensure you have the whole screen to move the pointer around, this will ensure full flexibility of the IK chain. Arms move naturally around his body and have new limits and new stiffness values, some "hack's" were done in order to bypass the original intended (logical) IK functions ...in order to make it look more natural. (nit-picking..you know). 2) Bunny Character created by Woodman5k He is rigged for animation, with an emphasis placed on facial animation and controls. 4) Leg Rig by Daniel Martinez Lara A simple but great leg rig. It uses very few handles (only around 2-3) without compromising the functionality even the slightest. Daniel also did a quick little demo video that shows how the rig enables quick rearrangement of the pivot point of the foot/leg. 5) Ludwig: Character and Rig v1.0 created by Jason Pierce Ludwig is a fully rigged and animation ready character for Blender. His features include IK/FK arms, stretch and squash head and spine, and a lip sync ready face controlled by a custom UI. Ludwig was created to provide the Blender community with a high-quality humanoid rig and to promote Blender as a character animation tool. Petunia is fully rigged and instructions are available on how to use and animate him. 10) Richie the Gecko by Jonathan Lax Gecko Animation Limited would like to present the Richie Gecko Rig as a download for the Blender community! It is a fun and simple rig that includes blend shapes for the animation of Richie's facial expressions. In addition, this blend file contains the compositing node setup used for the post-processing of the animation. Star of popularly acclaimed “Mancandy FAQs” dvd. A fully rigged and ready to animate character. All 3 versions of Mancandy are available for download and study. Currently version 0.4, that means: 1) it's not ready for production. 2) Its missing some standard features like Fk in Arm/Leg (currently IK), stretchy, etc.. A complete rebuild of Arms and Legs is in the works. So, use at your own Risk! "Red-Nelb" is a excuse to test and implement rigging concepts, in this version the focus is to use the minimum of controls in the viewport without losing functionality. Clean3D has created a fun little rigged character to experiment with. Otto is based on the techniques demonstrated at the Blender conference. One of the most impressive stretch rigs out there. Includes facial controls. A little bird-like creature, to learn the basics of blender animation tools. So there you go, a nice little library of fully rigged characters to play with to your hearts content. Why are you still sitting there? Go get them! Petunia the little monkey robot was created for use in the 2007 Blender Conference Suzanne Awards. rough understanding of the required mesh density required to build specific surface details. Sometimes during Exploring a design or possible surfaces is the the initial steps you will quickly encounter problems with most important part in Industrial Design dur- your mesh and can make, in the preliminary stage of ing the creative phase. Ideally you would like modeling, quick adjustments to it. to use a tool which allows mass-modificaFor example, while modeling the Chef'n carrot knife I tions without remodeling already finished tried to figure out the minimum required density for getparts. ting the basic surface details, like the rounded quality of However not every program offers this. Some all edges as well as the curvature of the main body. FolCAD programs round edges on-the-fly as a lowing this I was exploring the required mesh density to so-called feature, or change the lofted surface model in details like the finger holder and the geometry when the curves are modified, which are for holding the cutting blade. used for skinning. Bake SDS levels for further detailed refinement: The last step in particular was difficult because as mentioned with SDS you cannot locally subdivide a surface to build such details. To tackle this problem I baked a level one subdivision into a more dense base mesh. This level was fine enough for my desired details. From there I continued modeling. If you look into the different layers you see that I started with a general cross-section profile, extruded it, capped the edges and then pushed in the sides and extruded the tops to build those raised parts. After that the hand part was explored, starting with a ring extruded into a cylinder, and a side view curve helped me to model out the curvature. At this point I needed to figure out an elegant face flow to get good mesh quality but also capture the actual details of that kitchen utility. This approach of roughing out a basic shape with SDS, baking the modifier and then continuing to model from that point does not allow for quick stepbacks, however as mentioned the layers can be very useful in this case to store different design steps. This minimizes the amount of rework. A red curve line aids as a curvature guide. A mesh view showing the smooth transition between the finger element and base surface. There are no bad edges or unwanted surface flows, and few triangles are used to get the face network. In addition, the outline edges are extruded slightly downwards to make the part look separate when placed into the main model. The result is a quite accurate representation of the actual Chef'n product, with a modeling time of around three hours. The finger holder required the most attention, and is the most interesting element and best example for using SDS for product modeling. Specific elements like the holes or blade are more qualified to be done entirely in Rhino - however, for rendering purposes I modeled them inside Blender. As important as it is to explore design ideas quickly through modeling it is just as important to do the same with visual representations. In Industrial Design, the rendering aspect is treated as an additional service. It is not as important as the actual manufactured product. In addition there are also opinions which state that good renderings are rather counter productive because the customer might bond with the rendered image instead of what the real product would be later. 32 ping, Final Gathering, or Pathtracing is yet included, thus effects like caustics and local indirect illumination are quite difficult to generate in Blender depending on the scene. However with the current tool set we can achieve quite impressive results. Some are fast and easy to use and some are more labor intensive and take longer. Highlight, mid tones, dark areas and shadows are visual elements we can employ to give a flat rendering the illusion of 3d dimensionality. This means we can follow nature or simplify this and apply them in a rather graphical and illustrational way. This in other words means that we can do naturally looking images with even illumination or generate specific studies which focus on elements of the visualized product. That could be a highlight study or utilizing hard contrasts between highlight and shadow to emphasise the three dimensionality of the surface. For those steps we can select specific render types. Ambient Occlusion for example produces a more even, a more natural illumination while when using only few spot lights we can increase the light drama inside a rendering and focus on contours of the object. Traditional lamp rigs first:: At the beginning of CG there was no Global Illumination of any kind. The artist needed to simulate direct and indirect illumination through placing numerous lamps to brighten up shadow areas and color surfaces to fake color bleeding. Those so called lamp rigs were often very time consuming and complex to work with - simply because of the amount of lights you were dealing with. Two of those set-ups which mimic indirect illumination are still very common today. The skydome approach can be more refined. To take natural color of the sky into consideration we can split the icosphere into two parts. Apply to each part a different lamp and give those two lamps different color and energy values. The sun side has more energy and more yellow, while the opposite side has less energy and is rather blueish to represent the light coming from the sky. With the sun like lamps having more energy, the possible shadows will be much stronger. When using raytraced shadows, it is advisable to use higher values for the shadow sample to produce softer looking results. However this can Render Time: 1Min 32 Sec quickly increase the required rendertime as well. The light emitted from the sun being so far away can be darker lower part. The lamp color is using a blend between treated as parallel light and thus could be use a single addi- sun color and sky color. tional Sun light to cast the soft shadow. It can also be a spotlight. If your skydome is quite small, you might want to increase the size of the dome to also illuminate the ground accordingly. If you use a shadow catcher as the surface, the product will be much easier to compose into any print media. the possible shadow casting lamp as well. In addition the dome does not always have to be a sphere. It could be any kind of mesh type. With this the user has even more control on lights position and energy/color setup. This should enable you to quickly build a set of studio-like lighting setups for your future productions. This follows the similar approach to what the skydome tries to achieve. You use 6 lamps for a general global illumination. Left, right, front, back, top, and bottom. Those represent the six geographical directions we have. One lamp should be the sun lamp while the rest cover sky, horizon, and ground. Those lamps can be orientated strictly along a vertical horizontal path or depending on the sun's position be rotated. 35 an in-door as well as out-door situation plus give the object the desired dimensional feeling. Because we only use 6 lights for the main task of lighting the scene, we can also create harder contrasts compared to skydome. This is an aesthetic tool which can be quite handy. The seventh lamp can be used to significantly let one area or detail pop out of the image. Area lights produce useful light emitting surfaces and thus also produce the diffused light quality of a light box. With a few area lights we can quickly setup a well working studio utilizing light boxes commonly found in photography. All that is needed is a left and right area light emitting the main amount of light. Here you can decide if you want to pronounce left and right evenly or if you want the left side to be more illuminated, which is, in my case, the situation. The top area light evenly illuminates the top contour while the ground light brightens up the lower part of the model. There is 4 smaller area lights which are moved very close to the model. Because the main area lights are rather left and right there is not much light coming from the front - the place were the camera man would be. We cannot use bouncing cards in Blender because it does not support Global Illumination this way. Thus we need a filler. That small light has the purpose of slightly brightening up the top part of the finger holder to prevent to dark areas which might be also visible though unpleasantly looking banding. 37 more pronounced. This is very visible in mesh parts which are close to each other. 38 lates a room for rendering, while at the same time functions as a bouncer for light rays. It is important that you have walls - otherwise emitted light will travel to infinity and you cannot achieve an indirect illumination. The front face of the box is removed to look into the room while it can be removed after solving time. Technically speaking, the radiosity system is an illumination technique using no lights during render time. Lights are used only during solving time. This brings with it one small problem. Material effects like bump mapping interact with actual lights. This means using a bump map would be impossible with Radiosity. You simply will not see that texture. However a workaround is similar to AAO using Radiosity as a global light solver while the accents are done with real lights. In my case I use area lights similar in size to the mesh lights for final rendering. The Radiosity makes everything nicely soft, while lamps take care of the bump mapping and in addition add extra crispness to the rendering. Because of this situation did I use mesh lights with a low emitting value. Their outcome will be enhanced with the area lights. You could also use stronger mesh light values and use only the specular of the area lights and not their diffuse. This way the area lights will only create the bump texture without any added light. First Rendering with Reflective Surface: 22 Secs. Area lights added for crispness and bump texture effect: 35 Secs. Initial Solving result: 8 Secs. Optional: Utilizing AAO for additional global brightness increasement: 2Min 58Sec. Lets assume one rendering takes a lot of time or rendering an image multiple times and comparing the results is not the most convenient approach. Blender Compositor Node employing Color Overlay for left and right Light offers a nice solution to this problem. Using the Compositor with Nodes, we can render the scene multiple times. Each rendering would be a different lamp with the object. Those result can be mixed together in the compositor node. Through utilizing the "RGB Curve" we can turn each lamp on or off. With an input color, we could even color a lamp after rendering. All we need to do now is play with the curves until the desired result is achieved. This is a very quick and instant way to explore rendering. Other nice utilities would be the Defocus node for Depth of Field and making use of render passes like a shadow, diffuse, specular pass and save those into separate image files. In Photoshop they can be modified elements added or removed and than composed together into a final rendering. Small problems in rendering are more efficiently removed in a paint program than redoing the rendering. Of course is it desirable to do good renderings in the first place. But sometimes you have to fake it. I had a very short time allowance for this production, and the client gave me the all freedom for the artistic direction. They had no graphical stuff for their TV show, and they asked me to do everything. Logo, graphical chart, Generique, and all the background for the show were made by me. I had only three days to create all the graphic and animated stuff. It was very hard to do in such a short amount of time. First, I wanted to use Blender for modelling the Logo of this TV show. For this logo, I took inspiration from the screen design of TF1. I used a 2D heart with chips inside because we love them in belgium ! ;) The theme of the TV show was the 40 best video clips made in Belgium. In the middle of the production, I decided to build all the backgrounds in 3D and also all the 2D/3D compositing in order to have the greatest amount of freedom in the directing. Finally, I used a compositing software for the post production and FX. I really enjoyed this job, especially the Elvis beaver. Here, the client asked me to create an animation in flash style. I worked with Ronan Zeegers for this job again. He supervised the animation, modelling, rigging and all the 3D's technical problems. Then the client approved my character design, and asked me to animate 30 characters in 2D in only one week... I was under pressure at that time. Ronan suggested that I should make all the characters in 3D with Blender, in order to animate them very quickly, and to keep freedom in modifications. We didn't tell the client we had worked in 3D, to not stress them. When they were satisfied by the job, we told them the truth. They were really surprised and very amused with the smart using of 3D. But we were a bit disappointed about this job because of the final artistic direction. We preferred the first character design we had used in our first animation test, and finally the artistic direction chose a more classical character design. I wanted Stupidus, my hero, to be a mix of many of those characters. I've always been a big fan of comic books. In comics anything is possible. Comics are full of funny and interesting characters with awesome facial expressions. Because we are talking about facial expressions, let's concentrate only on the modeling of the head. Like Igor Krianovskij wrote in the last edition of BlenderArt magazine (nm.14): "It's good to start your model in the center of the 3D space, especially if you'll use Mirror Modifiers, Armatures, etc. So first hit [SHIFT+C] to move the 3D cursor to the center, and then [NumPad1] for the Front view (so that the "X" axis goes from left to right)." I agree with him. Thanks Igor. I started with a simple Cube mesh in the center of the view, subdivided once and erased one half of the polygons in Edit mode. Then I tweaked some vertices and subdivided once more to get more geometry to work with. I added some edgeloops where the mouth and nose will be, ending up with something like you see in fig 03. So I got the idea of making my comic hero in 3d, of course in Blender 3d. After that I set the Mirror and Subsurf modifiers on, and now the mesh looks like image fig 04. For all other parts, I continue to model using the same process until I finish the head. After you are finished modeling you should apply the Mirror modifier to remove the object from the modifier stack. In order to make good facial expressions, your mesh must have a good polygon flow or clean edgeloops, otherwise when it is time to deform the mesh the problem areas will be obvious. After tweaking edgeloops to suit to my mesh properly I apply a subsurf modifier on level 1 to get some more geometry (like subdivide but better). Then I add a new subsurf modifier to see a smooth model. I add loops where the eyes should be and with a couple Extrude actions, I model some ears. Materials aren't anything unusual. I UV unwrapped the meshes and painted color textures in Blender with Blenders Paint tool. For complicated textures I would probably use Gimp but for these color textures Blenders paint tool was just as good. Fi g8. VGroups and Shape keys from one key instead of building just that one. Later you can tweak those separated Shape keys as you like to get the emotions you want to express. Another good way to create facial expressions is to combine already finished Shape keys with the Lattice deformer (or Mesh deformer in some of the new Blender builds from graphicall.org -- thanks boys, great work!!!). Fi g9. Shapes and Latti ce On the next shot I animate deforming a cartoony head combining both Shape keys and a Lattice. Fi g11. What the heck! Good luck and happy blending everyone! “Blender noob to pro” made a lot of difference – suddenly I understood how things moved around and with the “tab” key I was able to finally edit my cube. And edit I did! Compared to any app that I have tried, Blender has the fastest modeling pipeline. It compares favorably with anything out there. Second thing that got me going was the Character animation tutorial from the “Blender summer of documentation”. It contains everything to get one started in the right direction. So I followed instructions and I made my version of the gray guy. As a learning experience I decided to UV unwrap the guy. Boy, that was an experience by itself! I have read about them, but one cannot know how amazing the Blender UV unwrapping tools are until you have true hands–on experience. All of the sudden an operation that is comparable to dental extraction without anaesthetics turns into pleasure! I have even made several UV setups, to try for the best. Anyone who has done any UV unwrapping anywhere happily declares it finished whenever it feels “good”. But in Blender I had the urge to make it Good with capital G.
50 inked and colored digitally (if there is digital color, it is only logical to have digital ink ;-)) This little guy has some feeling about him that I wanted to try to replicate in 3D. I have decided up front that I'll go with more a realistic version of the character and then modify it to a more cartoony version. So, I went on and drew another, more realistic sketch. I cannot emphasize enough the importance of previous sketches of the character before trying to actually model it. I haven't used any rotoscopes for the modeling for one simple reason: I had no idea how it could be done, but I knew that I can make it work, because I had pretty good idea how the character would look. NOTE: Not that I am world's greatest expert on the matter, but I feel that anyone who is at all serious about any 3D has to have at least better than average 2D skills. There are several reasons for that: 1 Whatever you make in 3D, unless it is Computer Aided Design ends up as flat art. 2 Knowing drawing reduces the time of making a good pose by a factor of ten. And good poses are what makes 3D animation “read”. 3 You have to make 3D model of the object in your head before you'll be able to transfer it into drawing. After that, transferring it into 3D object is much easier. 4 Anyone can draw! By some lucky chance I found a bunch of my drawings from the time when I decided that I am going to be an artist. I remember, I was thirteen at the time and I had such a lovely memory of my first attempts... until I saw them again three years ago. They were beyond terrible! So, if I learned, anyone can learn to draw. Off of the top of my head, I can recommend two amazing resources: “Drawing on the right side of the brain” (can't remember the author), and “Fun with the pencil” by Andrew Loomis. Second book is years (probably decades) out of print but it can be easily be googled... and it is fun! It contains the shortest and the best course to learn the basics of drawing and have great time in the process! One other thing that I found this drawing useful for, is that it tells something about the character's personality and his feelings. And animation is all about the feeling! It also made me think about the story behind it and it helped me come up with the idea for a short animation with this character. Those are wireframe screenshots made very early in the modeling process. Although I am fanatical about saving my incremental file versions, this is probably my first saved version of the model. That is how fast modeling in Blender is! First of all: “Better face tutorial” at “Blenderartists” forum and “Adrianne” facial modeling video: they are an absolute must, they contain everything which is important and they are free! Watching the video and reading the thread will save you a lot of grief later. There are also a number of other tutorials that will teach you about the importance of the loops and making the mesh deformable for animation. Look no further than the Blender documentation and the “Blenderartists” forum. Of course, BlenderArt magazine is cool too ;-) About the modeling process that I used: I have started with a subdivided plane, I erased half of it, used a mirror modifier, a subsurf modifier with optimal draw turned on and that would be it! The rest of the modeling process is made with basic extrusions (E key), selecting four vertices (Ctrl + left mouse button) and making faces (F key). An alternative for making faces is: when in edge selection mode, select two opposite edges and press F – it saves two mouse clicks. There are some incredible material libraries made available by Good Blender Samaritans. They can save you a lot of grief while texturing. There is one danger in them, though: one can start rendering material by material to see how cool it looks and forget what was the reason for looking for the library! 52 note the terrible topology of the hand mesh! Some modeling purists might critique the elegance of the mesh, but I haven't seen any rendering troubles with it and that is what counts in the end! Materials: I have to admit I have no idea about materials in Blender! I don't know how they are made from the various types of noise, I have just the faintest idea what the shaders are about, I have to make an enormous number of experiments to make color ramps work, so I opted for the obvious choice: I used materials from “Elephants dream” as a starting point and I adapted them for my needs (adapting means that I changed a maximum of one or two settings). But I know how to use image textures and that should suffice! Rendering before texturing. The mesh has only materials which have been donated by Blenderheads from around the world. 53 6 I like to add one more step: I usually make two more maps by baking color (Texture only) and Ambient occlusion maps (Ctrl + Alt + B). I find the Ambient occlusion map especially useful because it contains additional information about the form of the mesh. 1 In edit mode select the edges that you want to be the seams of the mesh and mark them using Ctrl + E (In edge selection mode with “Occlude background geometry” button pressed) 2 Press U in 3D view, select “unwrap” and if you are very lucky, that's it! 3 Most of the time, nobody's that lucky so some tweaking is usually required: select parts of the mesh using L (selects connected vertices) in the UV/ Image editor and position them properly using translate and rotate (G and R respectively). In some cases, you'll want to scale up important parts and scale down those that don't require much space (soles of the boots, for example) Note the number of pinned vertices (red)! 4 Now comes the fun part: pin the parts of the mesh that you are happy with (P) and then select “Live Unwrap Transform” from the UVs menu: Move some of the pinned vertices and enjoy the magic! You can always pin some more vertices (P) and unpin (select, Alt + P) others. This makes it possible to increase the proportion of the important parts of the face compared to the unimportant ones. Usually unwrapping as it is makes peripheral parts of the face relatively bigger compared to the central (and important) parts: lips, nose, eyes. So this makes it possible to increase their size and make better textures with the right amount of details. Exported UV map and AO baked rendering make 5 When you are reasonably happy with the UV map, you two layers in my painting app! I usually set AO and UV map to can export it as a wireframe (UVs, scripts, Save UV face multiply over the color map that I am going to paint. Of layout) and go on to painting textures. course, the UV map is made invisible in the final image! 7 7.Lucky Seven! Painting of the textures is fun! Again, one needs at least some drawing experience to be able to pull it off. I have used the Ambient occlusion map as a base for the Color map because it gives them a realistic “dirty” feeling. You'll notice that my color maps are very simple. That is because I am using bump maps to add necessary realism to my textures. Facial texture with high specularity, so that wrinkles are more noticeable. Final color map for the clothes. Character modification made with rescaling of some parts of the mesh. It was fun! Finished, textured character in different lighting conditions. Rigging of characters is an art of its own. It is a complicated and long procedure and I guess that is why large companies in the animation industry have Technical Directors to make their rigging. Luckily for me, Blender artists have created several great rigs to analyze and learn from: Bassam Kurdali, Calvin and Jason Pierce were my benefactors here. I have used parts of their rigs to make my Frankenstein Monster rig that I am using. Of course, I had to experiment and make changes on my own here and there (and those are probably the worst parts of the rig ;-). I have to say that Calvin's facial rig was a true revelation! It virtually eliminates the need for Shape Keys and gives a great amount of control with a small number of controlling bones. Also, many thanks to Bassam who is the daddy of several enormously important rigging breakthroughs in Blender! After I managed to compile some sort of useful rig, I had to go to the most dreaded part of the rigging process, and that is the painting of the bone weights. This is the part that took most of the time. It probably took 50% of all of the time that I spent creating the character. Weight painting is a process that is very prone to mistakes and also the part that requires the most of “trial and error” learning. I had to learn to hide parts of the mesh because it is the easiest thing to accidentally weight paint some distant part of the mesh and wonder for hours why moving the feet causes wild deformations of the head! I shudder to think about it! All the bones in EinsteinDwarf armature. Looks scary, huh? 56 Action constraints: Although I was pretty happy with the level of control that the final rig provided I wasn't that happy with the need to move at least six bones to make a smile, for example (eight if you count in cheek controls that I added for better facial expressions). Also, a simple blink takes moving four bones and that is additionally complicated if one wants to make an offset blink (a blink in which one eye closes and opens slightly faster than the other). Not to mention the making of a fist: it takes moving and scaling of at least five bones and they have to be positioned very carefully or they will not look natural. After some experimenting, I have found that action constraints may be the answer to this problem. They are pretty easy to set up and I'll go into them at length, for the reason that I haven't seen a tutorial that properly explains their use. Facial expressions: 1 I have set up 8 control bones on the sides of the head (children of head bone) that I have used for control of the facial expressions. I have set up all the controller bones for the facial expressions on the bone layer 8. Luckily, those are controller bones! Not so many of them, and you'll probably use most of them very rarely. 58 can use negative values (for the pucker pose, which is opposite of the wide mouth pose). 8 That's all – you may try moving controller bones to see if everything is right! If things don't move your way, make the necessary changes at the first bone and then repeat copy constraints – it will overwrite old ones with the new setup. It is very easy to make a mistake and overwrite constraints of the constrained bone with the empty one – that's why it is absolutely necessary to save the model before copying of the constraints. 9 9.You may or may not (depending of the preference) want to add Limit Location constraint to the controller bone (as seen in images (action constraints 004.jpg – 007)) – but it makes it much easier if you do. I've done my best to try to explain the process as simply as possible. I hope that this makes sense. If not, feel free to devour the model and find out how it works. An additional benefit of this setup is this: You may sum the movement of two actions: opened and wide mouth for example: (action constraints 011.jpg). Or you can go wild and use two controller bones and mix four expressions: open, wide, smile, show teeth!. Bone layers to remember: Bone layer 1: Body pose controls. Bone layer 7: Individual finger controls (and Thenar and Hypothenar controls) – it is most probable that this layer will stay unused, unless you need really subtle hand movements. Bone layer 8: Facial controls. 61 Try to avoid resizing of the facial bones, especially of the mouth bones, but this is not an imperative. If you do so, maybe you'll need to modify the actions with facial expressions. Also, in that case, you'll probably need to Change the Rest Length of the bones that have a “Stretch to” constraint applied to them (some of the green bones on bone layers 2 and 3. Gray bones (Bone layer 9) are such (preventing) bones. Depending on their location, they are children of head bone, jaw bone and thorax (Spine4) bones. This may look complicated, but all of this took less then 20 minutes to setup. Try to make lips bones accommodate the form of the mouth area of the mesh as close as possible. Eye bones need to have the origin in the middle of the eyeball 6 6.Make the armature parent to the mesh selecting bone heat option. 7 7.That's it! You may need to add or erase some of the “preventing” bones. You'll need to do this if you notice funny deformations during the testing. This all may sound complicated, but I have accommodated DwarfArmature for several meshes and it always took me less than an hour (including the testing). In one case, everything was done within 20 minutes. NOTE 2: I found that the easiest way is to select all the bones, move and scale them as necessary, then to deselect the bones that I am happy with (Key B (as in select), then deselect the bones with key Alt depressed) Here are three very different examples: Two characters with funny body proportions and one anatomically correct character created with “Makehuman”. It is important to say that poses are from the shared pose library created with EinsteinDwarf. in Blender due to the more flexible nature of mesh modeling compared to NURBS patches, while he performs graphical explorations through rendering his products. Zachary is learning rendering with Blender just this semester, while Ross and William used it in the Digital Modeling class last semester. This means that after spending one semester with it, it was enough to grasp the concept and apply it to the work field on a professional level. In the area of product animation Blender supplies the user with a rich set of tools to get the job done well. In this nature renderings are usually less realistic, and thus less time consuming approaches are favored. The new Material Baking solution can be used with Ambient Occlusion to speed up simple camera rotations. The special effects tools for fluids and particles are more than a product animator needs for most of the visualizations needed. Fluid flow inside an engine, mechanical movements, and many other tasks are easy to setup and animate inside Blender. However, commercial software solutions like V-Ray or finalRender are very strong competitors, especially with their Global Illumination capabilities, which area is one of the biggest shortcomings in Blender. Depending on the product and material to simulate, Blender can do the job very well. However, compared to commercial renderers, the results achievable within Blender for animation do not yet always perform as well as they do for very realistic still renderings. Ambient Occlusion is a good tool, but is not always the answer to each render problem. AO is global, not local, and this limits its usage depending on the scene. However in those situations, software such as YafRay or Yaf(a)Ray, Indigo, and LuxRender, among others, are strong complementary tools to round out the rendering tool set. Yet there is already somebody working on it; Matt Ebb is exploring ImageBased Lighting (IBL) options for AO as well as very amazing looking gradientbased anisotropic reflections . . . so let's stay tuned. With the recent Particle, Material and Node additions to Blender, it would be very nice to have those render features built into Blender to have color bleeding, IBL, as well as caustics. A simple one step bounce would be sufficient enough for many tasks to get a nearly real rendering output and promote Blender as a competitive and mature professional tool, able to be used on every project and render task. 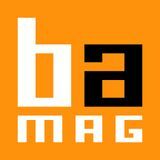 Want to write for BlenderArt Magazine? Here is how! 1. We accept the following: Tutorials explaining new Blender features, 3dconcepts, techniques or articles based on current theme of the magazine. Reports on useful Blender events throughout the world. Cartoons related to blender world. 2. Send submissions to sandra@blenderart.org. Send us a notification on what you want to write and we can follow up from there. (Some guidelines you must follow) Images are preferred in PNG but good quality JPG can also do. Images should be separate from the text document. Make sure that screenshots are clear and readable and the renders should be at least 800px, but not more than 1600px at maximum. Sequential naming of images like, image 001.png... etc. Text should be in either ODT, DOC, TXT or HTML. Archive them using 7zip or RAR or less preferably zip. 3. Please include the following in your email: Name: This can be your full name or blenderartist avtar. Photograph: As PNG and maximum width of 256Px. (Only if submitting the article for the first time ) About yourself: Max 25 words . Website: (optional) Note: All the approved submissions can be placed in the final issue or subsequent issue if deemed fit. All submissions will be cropped/modified if necessary. For more details see the blenderart website. The WOW! Factor Particles: Fur, hair, grass etc Fluid Simulation Soft Bodies Special Fxs ... and more! 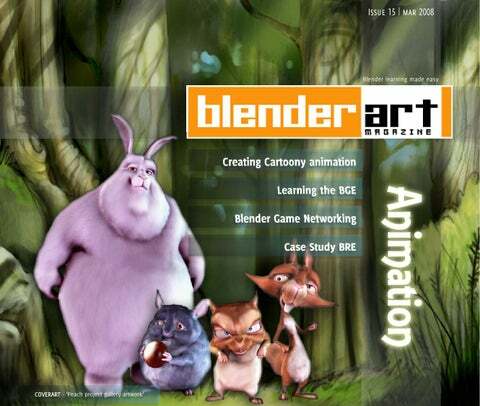 blenderart.org does not takes any responsibility both expressed or implied for the material and its nature or accuracy of the information which is published in this PDF magazine. All the materials presented in this PDF magazine have been produced with the expressed permission of their respective authors/owners. blenderart.org and the contributors disclaim all warranties, expressed or implied, including, but not limited to implied warranties of merchantability or fitness for a particular purpose. All images and materials present in this document are printed/re-printed with expressed permission from the authors/owners. This PDF magazine is archived and available from the blenderart.org website. The blenderart magazine is made available under Creative Commons‘ Attribution-NoDerivs 2.5’ license. COPYRIGHT© 2007 ‘BlenderArt Magazine’, ‘blenderart’ and BlenderArt logo are copyright of Gaurav Nawani. ‘Izzy’ and ‘Izzy logo’ are copyright Sandra Gilbert. All products and company names featured in the publication are trademark or registered trade marks of their respective owners.